Home » Blog » Different forms of yoga. Are they the same or different? In the recent months I was frequently asked by students about different forms of yoga. Whether they are complimentary to each other or totally different. How one should practise meditation and if meditation is yoga. Most of the new students are confused, especially about various meditations available out there. I hear often that yoga asana practitioners turn for meditation to Zen, Buddhism, and even Mindfulness, often not realising that yoga has a vast toolkit for meditation. This toolkit is aligned with asana and pranayama (breathing) practices. So when you work on different aspects of yoga, you still ‘speak’ the same language and draw water from the same well. Imagine an English speaking child, who is suddenly to learn Physics in French. Would not be easy… The same goes for meditation: why yoga asana practitioner would start learning non-yogic meditation from the scratch, when he/she already planted a seed of yoga through postural and breathing practices? This was a little deviation 😊 and now back, trying to explain different forms of yoga. 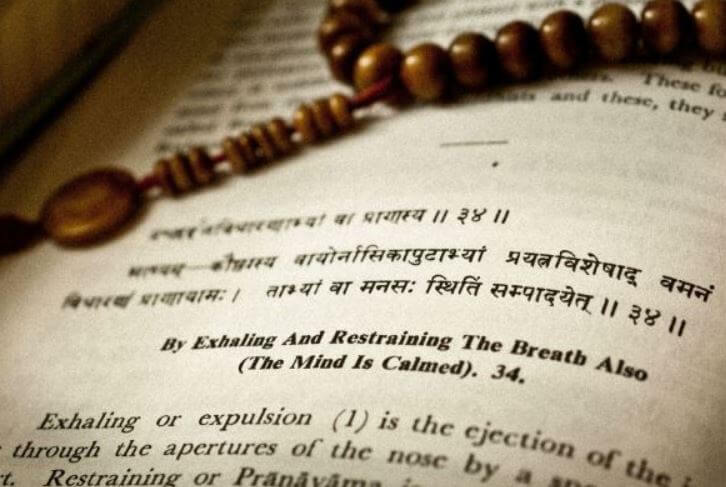 In one of the major yogic scriptures, Bhagavad Gita, 18 forms of yoga are named. These forms are not related to the postural practice, but to the yogic paths to spiritual liberation, i.e. realising our true nature as infinite consciousness or what quantum physics calls ‘quantum wave’. Note, that yoga asana is only a segment of Kriya yoga, which is a subdivision of one of the major forms of yoga, called Karma yoga. So the major forms of yoga are Jnana yoga, Bhakti yoga, and Karma yoga. Kriya, Hatha, Mantra, Raja, Tantra, Kundalini and other modes of yoga are all parts of Karma yoga path. These forms of yoga are the roadmaps to freedom from conditioned existence and constant pull of our never resting mind from past to future, as far from the present moment as possible. Jnana yoga (‘jnana’ means ‘knowledge’ in Sanskrit) is the search of knowledge through the studies of the spiritual scriptures with the teacher and meditation upon them. Jnana appeals to the intellectually minded people. Bhakti yoga (‘bhakti’ means ‘to serve’) is yoga of serving a higher power. It is a devotional type of yoga, where students offer all the actions and thoughts to the divine, recognising divine in all seen. It normally appeals to very sensitive, emotional and devotional types of personalities. Karma yoga has many modes, such as Kriya, Kundalini, Hatha, Mantra, Tantra, Laya, Dyana, Samadhi and Raja Yoga. Each addressing different issues of human layers: the body, mind, ego and intellect. Because people have different bodies and minds, different approaches have been developed to remove different obstacles located therein. Bhagavad Gita gives a central stage to Karma yoga, stating that “in life we can only act, but we should not be affected by the results. If the fruits of our efforts do not correspond to our expectations, we should not be disappointed, for the effort itself is often imperfect” (TKV Desikachar). Those of you who practise yoga at Iriness, can deduce that at Iriness, we mostly practise various aspects of Karma yoga, i.e. postural practice of Ashtanga Vinyasa yoga, breathing practices of Pranayama and Kundalini Meditation. All these are designed to remove blocks and tensions in our body, breath and mind – to experience more moments of stillness, health and clarity. As we grow our community, we’ll extend to dive also into the aspects of Jnana and Bhakti yoga. Each of us will feel connected more to a particular form of yoga, which is perfectly perfect. Just remember, that these paths are simply different roads to the same destination. Realising that we are all one with each other and with the infinite consciousness. This summary drawn from the teachings of Gregor Maehle and TKV Desikachar and many other teachers inspiring my own path.